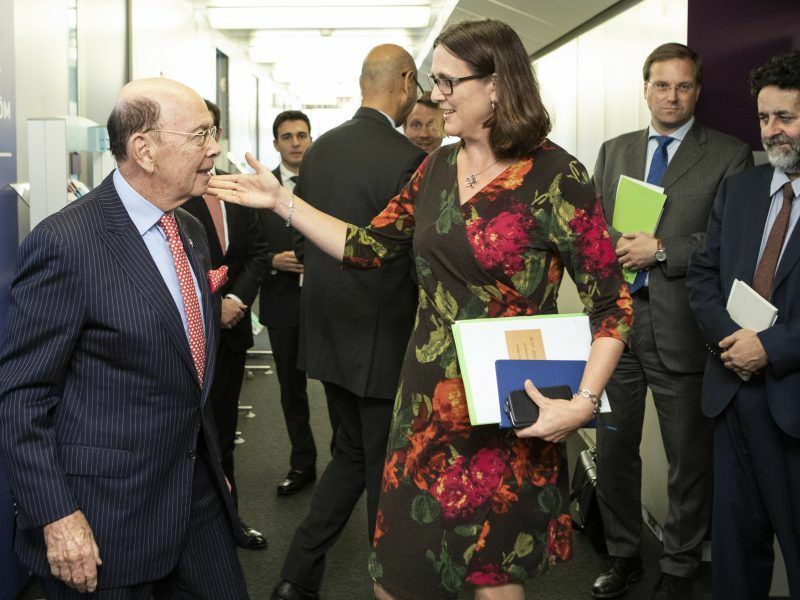 The Commission published a report on Wednesday (30 January) on the progress made in the trade talks with the US launched last July. In the document, the Commission regretted that the US had made “no movement” toward lifting the steel and aluminium tariffs imposed in June. Despite that, the executive decided to formally request from the member states the negotiating mandates to launch trade talks. 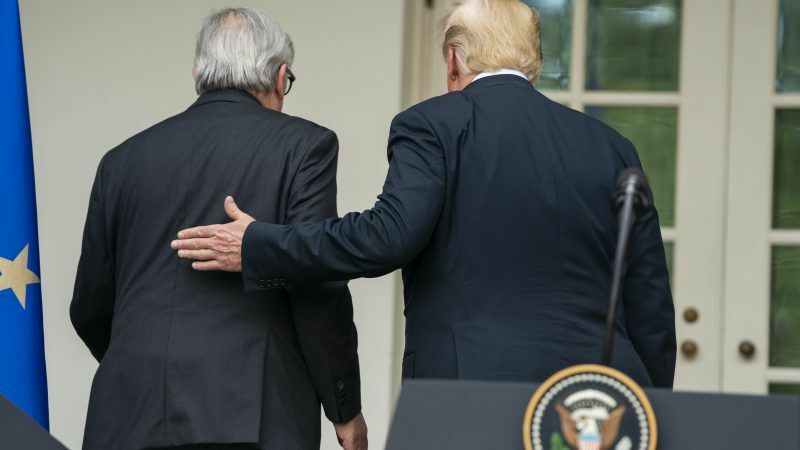 Initially, the European side rejected negotiating with the US ‘at gunpoint’ while the tariffs remained in place. 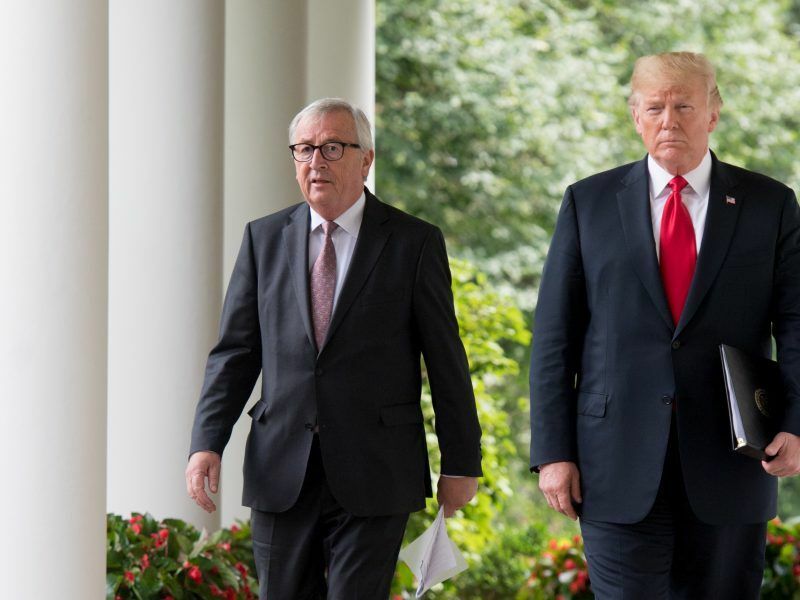 The talks launched last July, following Commission President Jean-Claude Juncker’s visit to the White House, were described as a scoping exercise. Instead, the Commission has made the removal of the duties slapped against the metals a precondition to conclude the negotiations on industrial tariffs. However, the executive did not mention the tariffs imposed on Spain’s black olive. This case could have broader relevance as the US questions EU funds offered to farmers, in what the EU sees as a direct attack against the Common Agricultural Policy. The Commission decided to take these tariffs to the World Trade Organisation last Monday. 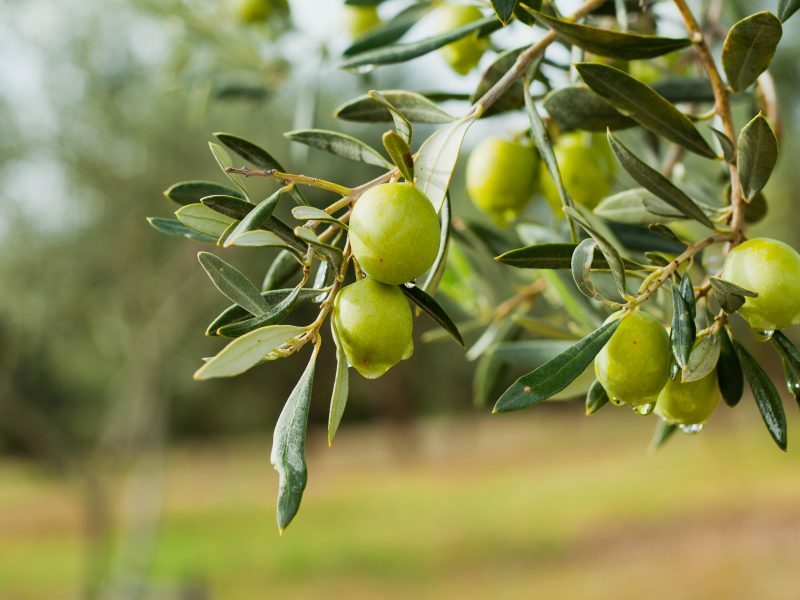 The EU will begin legal action at the World Trade Organization (WTO) this week against US duties imposed on Spanish olives, EU trade chief Cecilia Malmström said on Monday (28 January). The EU executive also pointed out that imposing new duties on European carmakers will also lead to the suspension of the negotiations in industrial tariffs. The Commission is already working on possible retaliatory measures should the US decide to slap additional duties on the automotive industry. 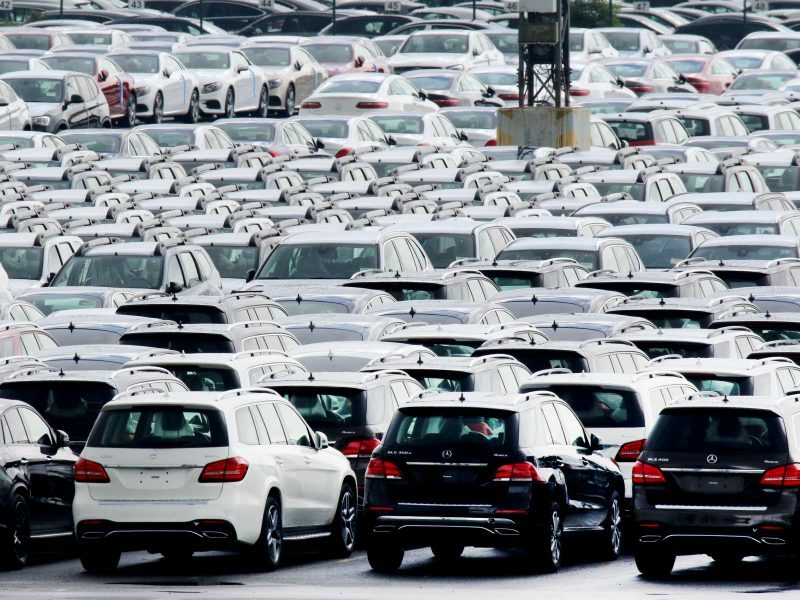 The US administration will publish a report in mid-February on whether it considers car imports as a threat to national security, seen as a first step toward imposing further restrictions. To date, regulatory issues have taken the centre stage of the EU-US talks. “A meaningful set of short and medium-term deliverables can be envisaged,” the progress report said. On pharmaceuticals, both sides reached a preliminary agreement to expand the mutual recognition agreement to avoid duplicate inspections, so that it includes veterinary drugs, and possibly also human vaccines and plasma-derived pharmaceuticals by 2022. On medical devices, the EU will make use of single audit reports compatible with EU legal requirements. On chemicals, the EU is willing to improve the exchange of information and cooperation between risk assessment agencies. The Commission also proposed “intensified dialogue” to develop new standards for new technologies, for example for additive manufacturing, robotics, and automated and connected cars. The report recalled the significant increase in US exports of soybeans, a commitment also included in last July’s agreement. Soybeans imports from the US increased by 114% by the end of January, compared to the same period in 2017-18. Now the US represents 77% share of all EU imports of soybeans (compared to 39% in the same period in 2017-18). The EU has also an interest in importing more liquefied natural gas from the US, in order to diversify its suppliers as it has “ample unutilised import capacity” in EU terminals. 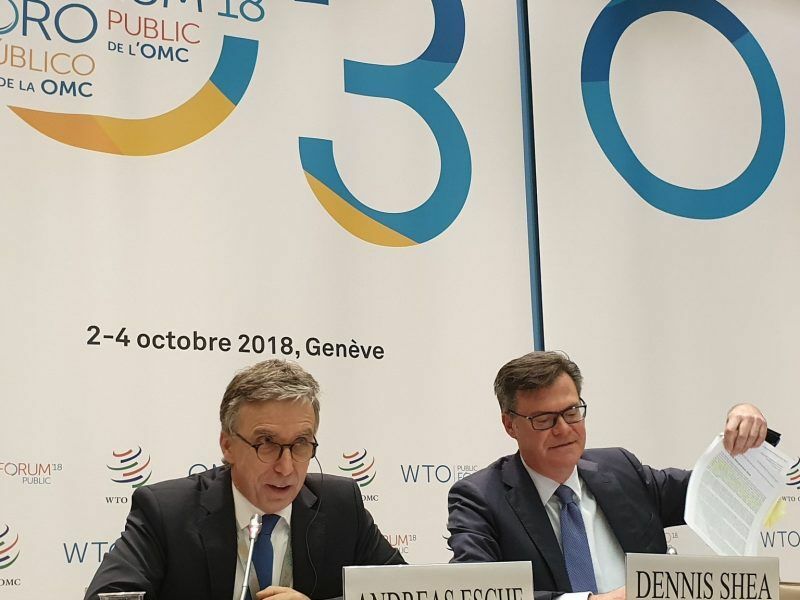 Both sides are also cooperating in the effort to reform the WTO, in order to better cope with current challenges such as subsidies or the forced transfer of technology. Not if US gas is much more expensive – as it is.